Candy buffets started to pop up around wedding receptions about three years ago and the trend is still going and growing strong! Custom backdrops really add for some major WOW factor, too! Some couples prefer their candy to look super playful, bright and colorful while others are looking for something very chic and modern that will really surprise their guests. You can’t really go wrong with candy, desserts and sweets of any kind. This trend is simply taking things to the next level. There is no specific theme or color scheme that works because anything goes. If you style your table correctly and balance it while incorporating great colors, textures and of course fabulous candy, you can’t go wrong. Personalization is everything! 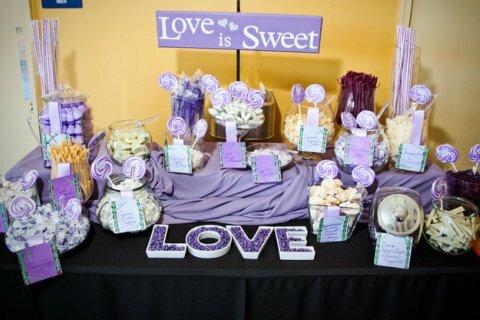 Every event should feel unique and special, and your candy buffet or dessert bar is a fantastic way to do this. Personalized decals can be made for containers or bags; signs, labels, ribbons, bows and glitzy touches like rhinestones are always a huge hit. Cotton candy trees are always LOVED by the guests. Cotton candy on a beautiful manzanita tree with crystals or candy necklaces hanging off the branches. It’s also nice to display a cute message, banner or sign that plays off of the candy. At weddings lots of couples like the saying, “Hugs and Kisses from the New Mr. & Mrs.” ~ you can add cute Hershey’s Kisses graphics and tie this into the theme. You can also have fun with a chocolate fountain and dyeing chocolate to match the event’s theme. 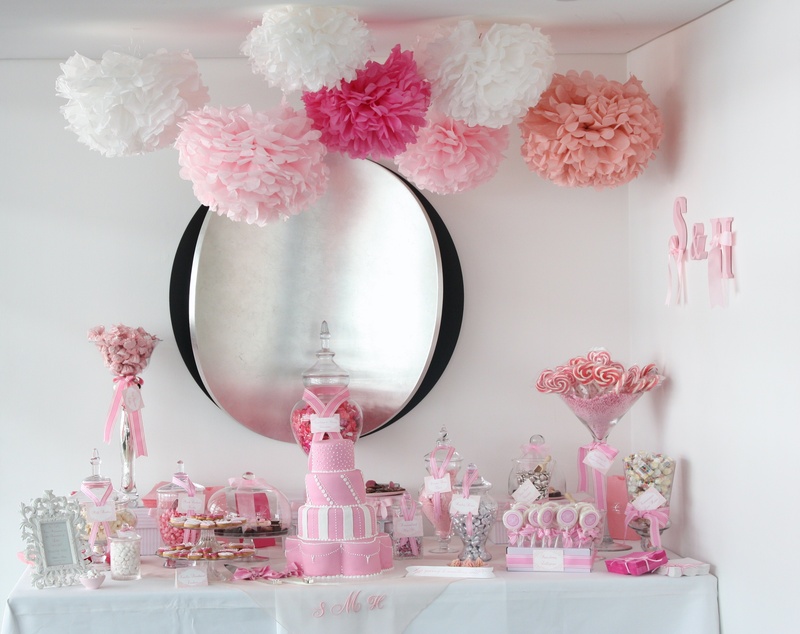 ~ Pick a theme or color scheme that will serve as direction when picking out props, candy colors and treats. 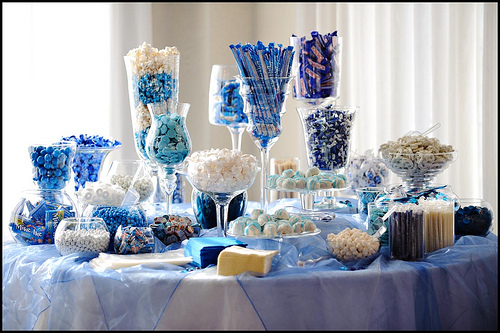 ~ Locate a space that is visible to your guests, which will allow your candy buffet to be a beautiful decorative addition to your event (i.e. a foyer, existing bar or on a patio). ~ Select interesting vessels and containers for your candy. They don’t have to be the same; mix them up but make sure they all flow together. Vintage shops & thrift stores are great for finding interesting pieces. ~ Select your candy by color, and you may want to include some custom treats that are made in your color scheme or theme from a local bakery. ~ Don’t forget scoops & tongs ~ always keep it clean. ~ Provide your guests with goody bags or boxes to grab some treats as a to-go favor! My first time here. Nice blog and super post. Well done.